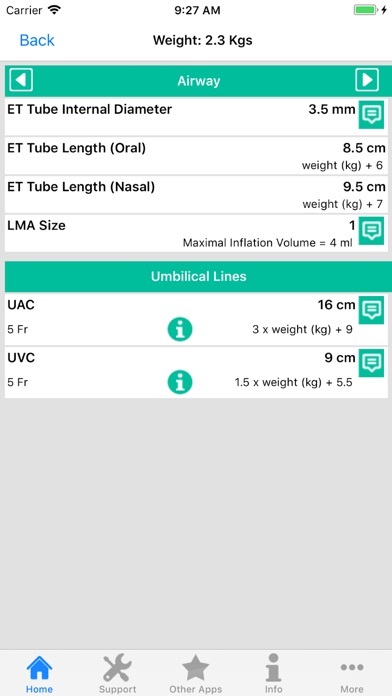 This application provides the healthcare professional with the time critical information they need when treating an acutely unwell neonate. The easy to use interphase means the user can quickly find the information they need and make this application a real joy to use. 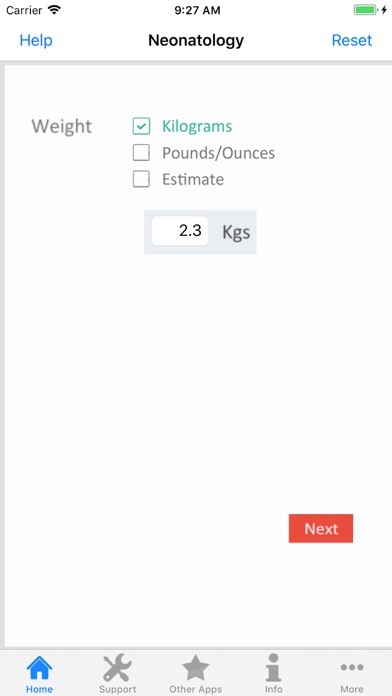 Important design features include: •The option to enter weight in ‘Kg’ or ‘Lb/Oz’ •The ability to provide an ‘estimated birth weight’ which has been derived from the 50th centile for age from World Health Organisation (WHO) growth charts. This application is a must for any Paediatrician, Neonatologist or any healthcare professional who as some stage may find themselves looking after an acutely unwell neonate.